Kids just can't stop playing Fortnite?! Come on Mom and Dad. Monitoring video games is the battle you MUST win on the parenting frontier these days. Kids are getting hurt less and less outside these days. Why? Because they're glued to the TV playing the latest version of Fortnite. That means the injuries are coming from inside the home: falling off chairs, strains in the hands or thumbs. That's why there's a rise in "Nintendoitis." Plenty of kids are awash in media — let’s face it, most of us are. But adults didn’t grow up facing the same numbers as today’s kids: The typical 8- to-18-year-old child spends six-and-a-half hours a day immersed in a thick soup of TV, music, online content and video games, according to a recent report from the Kaiser Family Foundation. Many moms say their kids are addicted to Minecraft because that’s all they want to do all day long; some limits are obviously in order. This is what the average home is looking at with all the technology today, according to Kaiser: Kids enjoying four hours of TV, two hours of music, one hour each on computer and playing video games — although for many that number is much higher. 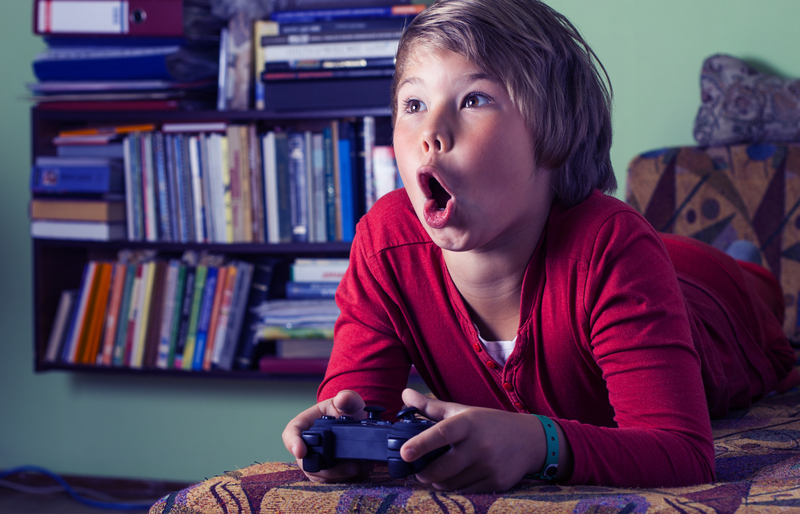 Monitoring video games and the rest of the technology in your home is a healthy way to provide balance in your child’s life. Before protesting that your kids don’t consume THAT much media, do what the researchers did. Keep a media diary. For extra interest, throw in the other categories the researchers measured: reading (45 minutes), hanging out with parents (two-and-a-half hours), physical activity (one-and-a-quarter hours), chores (30 minutes). You may be surprised at the results – especially during weekends and other downtime. So how do you monitor what they’re doing while enjoying all that modern technology offers? Teach your kids to be deliberate about their media choices so entertainment doesn’t expand to fill every available moment. Knowing where the “off” button is and using it is the first step toward managing media. During school breaks, experiment with media-free times. Try turning off everything – TV, videogames, computers, cellphones and any musical devices that involve headphones. There’s sure to be protest, but stick with it. If you disconnect often enough, your kids will start to realize that their own conversations, observations and thoughts are every bit as rich and satisfying as anything the media can provide.